Who made it to the Final 3 of The Voice Kids Philippines Season 3? The votes are in and the semifinal results will be revealed tonight, Sunday, August 21, 2016. Last night, Team Bamboo and Team Sharon performed for your votes. Tonight, it’s Team Lea’s turn! Also tonight, the result of the public vote will be revealed — only three artists will survive and the rest will be eliminated. Who do you think will be sent home and who do you think will advance to the Finale? Write your prediction on the discussion box below. Keep locked on this page, recap, performance videos and results will be posted below once announced. 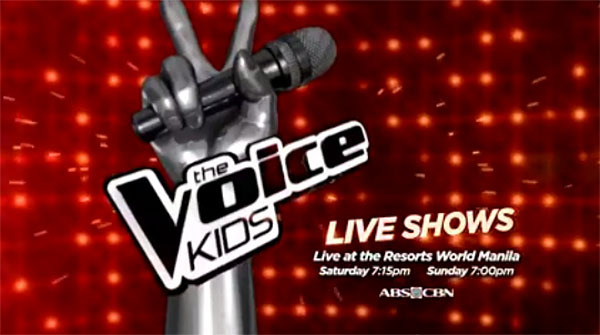 The Voice Kids Philippines Season 3 live results show airs on ABS-CBN at 7pm. What can you say about the results? Share your comments on the discussion box below!